Yes, you read that title correctly. 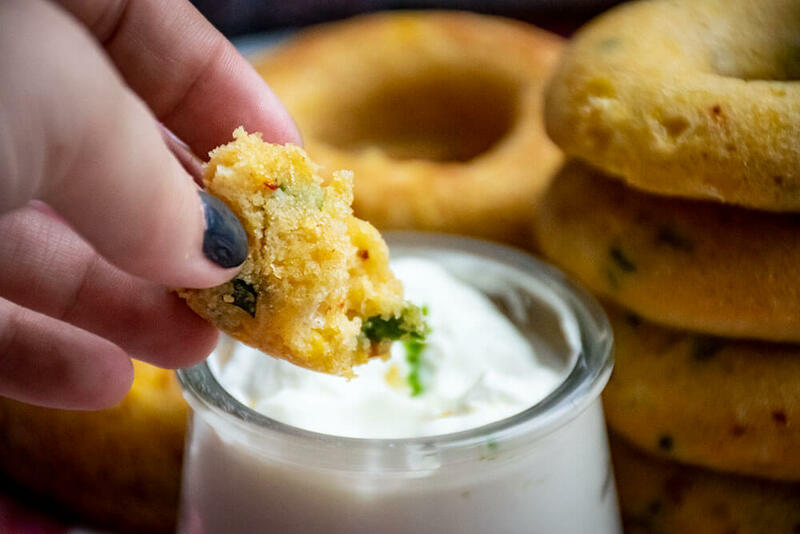 These delicious cornbread doughnuts are spiked with jalapenos to give them a nice kick. 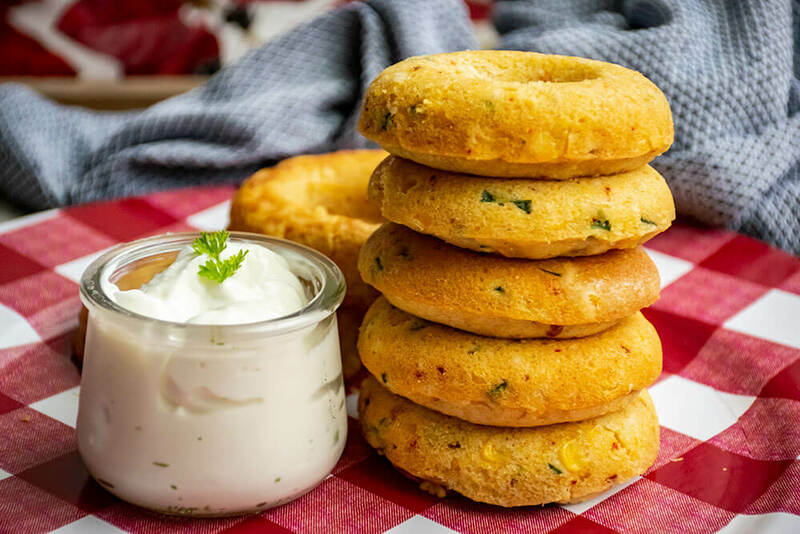 As an added bonus, they are totally dippale which makes them the perfect accompaniment for chilis, soups and more! But even if you don't have a chili, you can still dip 'em in something delicious! I made a quick lime sour cream side dip - just in case. I mean seriously, why aren't these a thing everywhere!? Preheat the oven to 350 F. In a small skillet over medium high heat, melt 1/2 stick of butter until it is frothy and just beginning to brown. Set aside to cool. 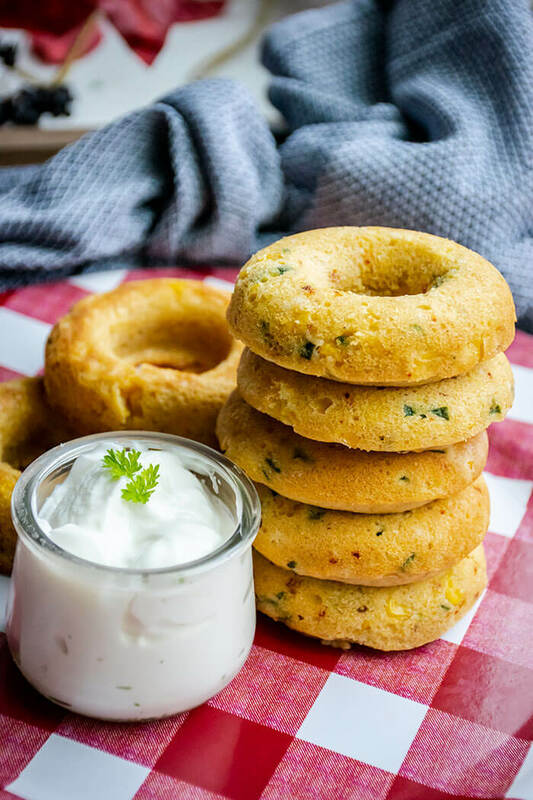 Meanwhile, stir together the Jiffy mix, flour, milk, roasted corn and jalapeno until a thick batter forms. Stir in the melted butter. Transfer the batter to a large/gallon baggie or piping bag. 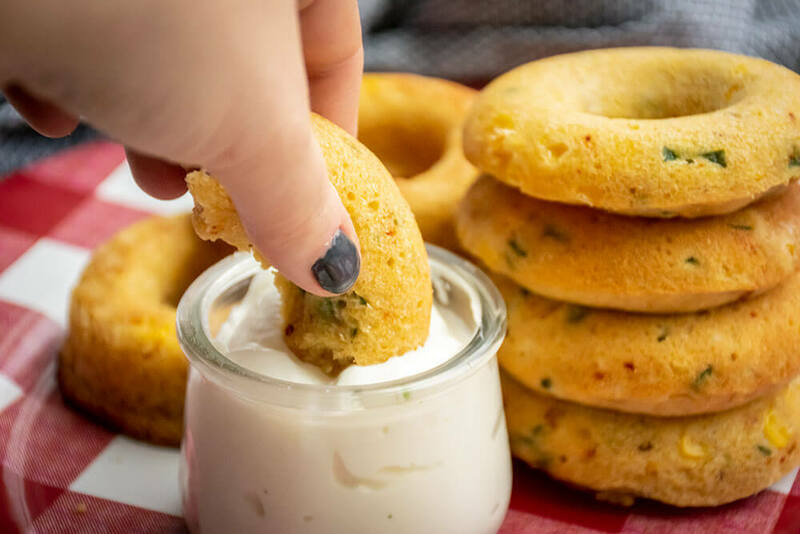 Snip the tip of the bag and pipe the batter into doughnut tin or silicone doughnut mold. 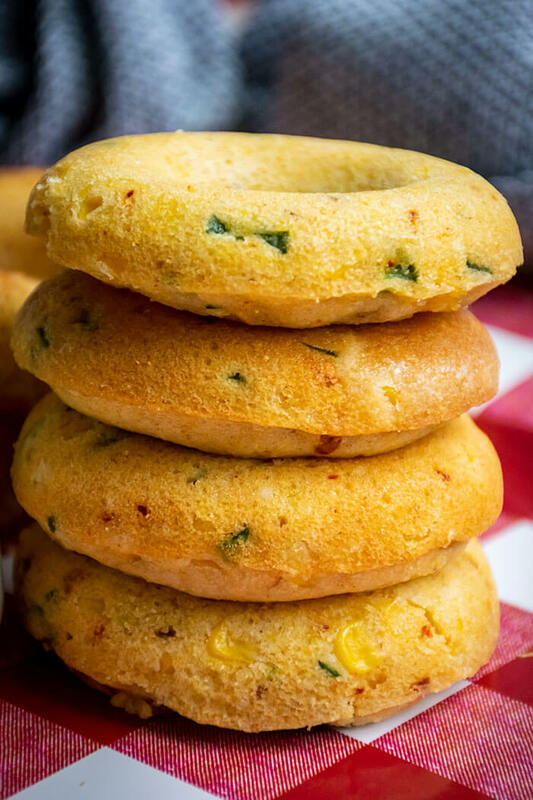 Place the sliced butter around the edges of the batter, about 1-2 pats per doughnut. Bake for 15-20 minutes until the doughnuts are golden brown. Let cool in the tin for at least 15-20 minutes before turning out the doughnuts. OPTIONAL: In a small bowl, combine 1/2 cup sour cream with 1 tablespoon lime juice for a tangy dip. Enjoy!